Just like any business, here at Excel Dryer we like to think that our product is the best of the best. While we could go on and on about how great our XLERATOR® industrial hand dryer is, we decided to let our customers do the talking for us. Below are quotes and comments given by satisfied clients around the world who have saved money, reduced their environmental footprints and more! The XLERATOR industrial hand dryer boasts an 8-second dry time, which is the fastest recorded time on the market. Many other hand dryers force users to hit the button a second time, only to dry their hands for an additional two seconds or so. They then walk away as the hand dryer continues to spew out warm air – wasting energy and heat. Our industrial hand dryers eliminate this waste. A big knock against hand dryers is that although they save money and reduce waste, they simply are not as effective as paper towels. We’re glad to see that Richard is just one of the millions of end users who are satisfied with our industrial hand dryers. Yes, you read that right. The Boston Red Sox and historic Fenway Park utilize XLERATOR industrial hand dryers. Imagine all the people who attend the 81 games at Fenway per year. Now imagine how many paper towels were used daily. By installing our hand dryers, the Red Sox eliminated that waste. “XLERATOR continues to be the specified hand dryer of choice at USGBC headquarters because it meets the aggressive energy and waste reduction objectives for designing state-of-the-art green washrooms.” – Ken Wilson of Envision Design and USGBC. In case you’re wondering, USGBC stands for the United States Green Building Council, which is an industry leader in reducing waste and conserving energy in the workplace. If the XLERATOR industrial hand dryer is good enough for them, why aren’t you using it? 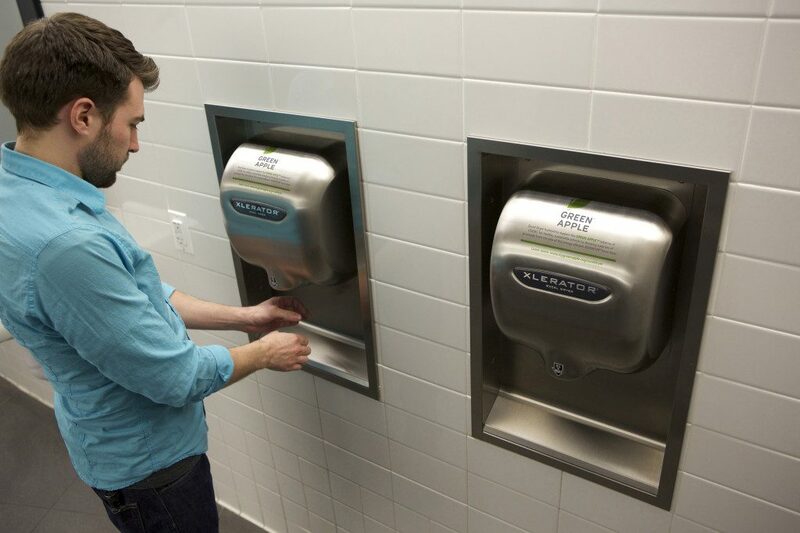 If these haven’t swayed you enough, check out even more customer testimonials and be sure to view our video case studies to see how we’ve helped countless organizations around the country save money and energy with industrial hand dryers.